Have you ever feel trapped by the very business that you’ve worked so hard to build? Like if you don’t show up each day ready to fight the fires and solve the challenges that get thrown at you that your business wouldn’t thrive and succeed? 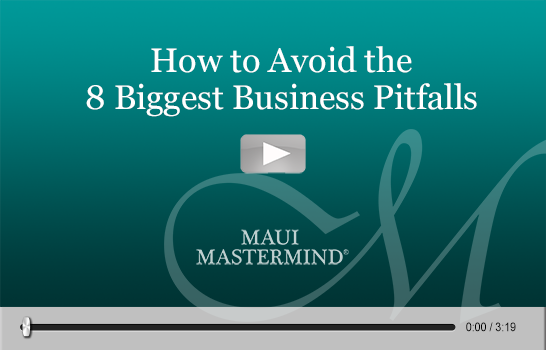 Here is the full list of all 8 of these business pitfalls. As you read through them, identify which pitfalls you’ve fallen prey to—and what you think it’s costing you and your business. Business Pitfall #1: You the business owner are burned out or maxed out. The most common trap for most business owners to grow their business based on their personal production. They drive the sales; they produce or oversee the production of their product or service; they manage all the day-to-day operations of the business. And for many of business owners, they then try to take care of the book keeping and admin work on nights and weekends too! Is it any wonder that most business owners are just plain burned out and tired? It’s such a common business pitfall that there is even a name for it– the Self Employment Trap™. You are so busy doing the “job” of your business, that you don’t have the time or energy to grow and develop it as a business! When you originally started the business you wanted the control—and now you’ve got what you’ve wished for, only to discover that it came with a steep price—your freedom! Plus, because your business is totally reliant on you it is much less valuable should you ever decide to sell it AND it is incredibly difficult to scale as it operates at present. If this pitfall has got you, you’ve got to systematically reduce your business’s reliance on you in a sustainable and scalable way. 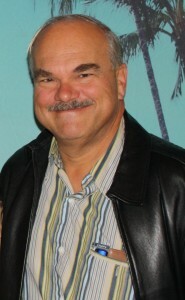 Caption: Mark Huha, a service business owner in San Diego, grew his sales by 44% while at the same time reducing his stress and hours! Take the example of Mark Huha, one of our Business Coaching clients. When we first met Mark he was coming up on 15 years in his service business and burnt out. He built the business as an extension to him—personally generating all the sales, managing his field team, and managing all the administrative parts to the business too. Within our first year working together we helped Mark reduce his business’s reliance on him (see Business Pitfall #2), create systems to capture the know-how of the business for the business, and empower his staff to “own” parts of the business so Mark wasn’t needed in the day-to-day operations of the business. And during this time Mark broke the million dollar sales barrier for the first time in his company’s history—by increasing his sales by 44%! Business Pitfall #2: Your business is too reliant on you the business owner being there to run things day in, day out. Put on your “brutal honesty” hat and take a good, hard look at how reliant your company is on your presence to make it work day in, day out. Here in one simple question you’ll get your answer. Are you ready for that question? If you were hit by a bus tomorrow, what would happen to your business? Would your business be able to keep running? If so, for how long before things all fell apart. For most business owners the answer is shocking—if they get hit by a bus their business folds in less than 30 days! Everything you’ve worked so hard for could literally disappear in a moment. Did we get your attention with that? You need to build a business, not a job. Remember, the more you do for your business, the more you’ve got to KEEP DOING for your business. And obviously at some point you will reach your maximum production level and now not only is your business stuck—but what’s worse is that your business now has a higher fixed cost and overhead so that you are trapped and quite literally can’t get off the tread mill. Remember this, the best way off the treadmill is NOT to run faster—it’s to run smarter! Running smarter means personally doing less, and getting your business to do more! But watch out for Business Pitfall #3 (trying to replace yourself with the perfect hire). Smart business owners incrementally replace themselves from areas of their business with the right person, enabled by the right system(s), and using the right business controls so that the business can be assured that things get done. In other words, you’ve got to build your business on the three key legs: systems, team, and intelligent business controls. This is what gives you a stable and scalable business. In our language we call this process the Level Three Road Map™– the step-by-step progression through the lifecycle of your business. It lays out exactly what your focus needs to be, the systems you need to develop, the team you need to hire, and the controls you need to institute at each stage and level along the way. Business Pitfall #3: You try to replace yourself by finding the “perfect” hire(s). If your business is too reliant on you to be the key producer, why not just hire the right team member(s) to replace yourself? Because if you try to scale your company based only on hiring the right people you’ll wake up one morning to find that you’re in even a worse place than when you started hiring! Think of it this way. Scaling your business based purely on making the right hires is like a one-legged stool. When everything is in perfect alignment, that single leg can support a lot of weight. But how often does everything stay in perfect alignment when you’re talking about the complexities of multiple hires? Inevitably someone’s spouse gets transferred. Or a personal challenge gets in the way of their work. Or they have a life epiphany and decide to totally change careers. While you can’t know what will happen, you can reliably predict that given time something will happen. And the more people you hire to scale based on their abilities, the more likely the odds that that something will happen sooner. So if building on a one-legged stool isn’t the answer, what is the best way to systematically replace yourself from parts of your business in a sustainable and scalable way? Simple—build on a three-legged stool! Intelligent business controls — the specialized systems that help put the business in control to make sure that your team is using your systems in the right way, at the right time, to produce the right results! Business Pitfall #4: You and your business lack of consistent focus. Because the business owner allows the day-to-day urgencies in the business to regularly change their team’s focus, they rarely build up any significant momentum. The business owner is pulled in too many directions and as a result doesn’t have the time to focus on what their business really needs them to do. They are constantly in “reaction mode”, putting out fires and just trying to get through the day. Without a clear strategic focus to guide your efforts many business owners feel overwhelmed. They are constantly fighting fires pull them away from the best and highest uses of their time for their business. What’s more, most business owners simply don’t have a reliable strategic planning process that they use to help them clarify their high leverage, strategic decisions that mean so much to a business. In fact, it’s been our experience having worked with over 250,000 business over the past two decades, that most business owners never address the key strategic decisions that are the most important leverage points to grow their companies! What market should they really be focused on? What branding and positioning should they work to establish? What key products or services would be most valuable for their market and most profitable to the company? What sales and distribution channels would most efficiently allow them to scale? We do this strategic planning with our Business Coaching clients EVERY QUARTER! This way, every quarter, they have a clear, written action plan to follow to focus their business on those fewer, better things that make the real difference. And for those rare solopreneurs who do plan out their business strategically every quarter, most of these rare business owners still lack the accountability to hold true to their strategic plan—which leads them to fall prey to Business Pitfall # 5.
Business Pitfall #5: You the business owner have no effective accountability and as a result you and the business tend to drift or get pushed off course. You can’t turn to your employees for accountability – there is too much of a power imbalance for them to be able to effectively call you out on the mat. It’s usually a mistake for your business partner(s) to be your source of accountability because it introduces a potentially toxic element into this critical business relationship. So who can you turn to? Who do you have in your business life that holds you accountable? And is that accountability haphazard or is it a structured accountability that reliably holds you on course? For most business owners the most powerful source for this outside accountability is a Business Coach that they work with over an extended period of time. We work with our Business Coaching Program clients so that they have regular, structured, bi-weekly accountability. Not only does this help them maintain their focus on those things in their businesses that truly generate breakthrough results, but it also helps build a deep mentoring relationship the flourishes over time. This way your Maui business coach knows not only what you’re working to accomplish, but he or she also understands your tendencies, patterns, strengths, and weaknesses so that the coaching you get is tailored one-to-one to you so that you get the very best results possible. We make sure that while they might have a bad day or two, it never extends to a bad month or quarter! We always bring them right back to the centerline right away. Think of this like the keel of a sailing ship. Without a keel the boat would be pushed off course by the wind. With the keel, your business is able to hold true to its course and harness the wind (business environment) to cut through the water and reach its goal. Business Pitfall #6: You’re constantly putting out fires because the only systems and controls you have are the ones in your head! This means you struggle turning over responsibility to your team because to be blunt—you just do things better than they do. What you don’t realize is that you’re the CAUSE of this because you don’t give them the tools they need to take over parts of your business! What you really need are the right systems and business controls and training so you’re your team can PREVENT the fires in the first place! Business Pitfall #7: While you have rudimentary systems and controls, they are totally inadequate for the level of growth you are experiencing and as a direct result things keep falling between the cracks. They are fine for the business as it WAS (and even to a lesser degree they are serviceable for the business as it exists right now) but they are totally inadequate for the business you are growing into. Think of the analogy of an old house that you are moving into. If you don’t upgrade the plumbing system and start to tap into the much higher water pressure of the city system which will put much heavier demands on these antiquated systems you’re going to risk leaks and potentially burst pipes! The key point is you need to build scalable solutions—or when you grow your systems and controls will fail you at a critical moment—leaking all over your business! Business Pitfall #8: You’re struggling with cash flow challenges, whether due to rapid expansion, poor collections systems, or low sales volume. Layer one is the strategic layer – this is about making smarter choices of WHAT to focus on. Layer two is the execution layer – this is both the tactical decisions of HOW you’ll do what your strategic layer helped you decide to focus on, and it is also the defined accountability structure you need to make sure you are staying on track so you get the results you want. Layer three is the business development layer – here we don’t mean getting more business, we literally mean the process of building your company’s infrastructure of systems, team and controls so that you have a true business, not just a self-employed, owner-reliant job. We call this step-by-step process the Level Three Road Map.